One of the biggest challenges of being tasked to build a website for a school is that often you won’t get a whole lot of direction apart from the colors that it needs to look like. You may be told that it needs to have a calendar of events, or that it has pictures of the school on it, but often after that you’re on you’re own! Well, we’re here to help you with the next step! First, you need to know that the best and easiest way to manage a website is with the WordPress platform. WordPress is the world’s most popular blogging platform, but it also does double-time as a fantastic Content Management System (CMS). You don’t need any additional software, just your web browser. Manage your web pages, blog posts, and all features of the site directly via FireFox, Chrome, Safari, or Internet Explorer. And once you’ve gotten on board with WordPress (it’s free, and it’s open source), you’ll want to get yourself an educational WordPress theme. Mobile devices are everywhere, and when designing your site, you must must MUST consider that students, and possibly parents, are going to be accessing the site with their phones or tablets. You need to make sure that the design is fully responsive: does it respond to different browser widths. It’s one thing to have a website, with content on it, but it’s something else entirely to have the architecture of the site set up in such a manner that there are search engine friendly tags ready to be populated. If you want to be listed for key search terms, this is incredibly important. Students and (if you’re building a grade-school educational site) parents will want to check out who the educators are. 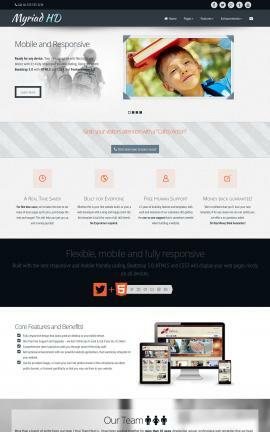 Your educational WordPress theme should have a page that can showcase you or your staff. Can the theme be set up to showcase your classes? Can it show blog posts from teachers? Can it do everything that your administration has set out to bring a sense open communication and transparency to your website and school? While many WordPress themes are functional, not all convey the sophisticated and professional look and feel that your school may be looking for. Be on the look out for such items as an image slider or quote slider. Great ideas! Now where can I find such works of beauty? So now we’ve told you what you need to be on the lookout for, so where do you go from here? 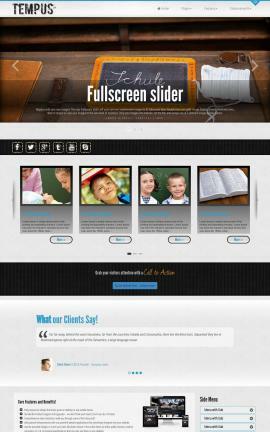 Well, we have a great selection of educational wordpress themes that have all of those features. Here a few of our most popular educational WordPress themes. 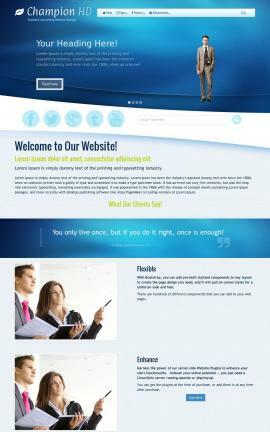 When building a website for an accounting firm, we recommend using WordPress. And when building your WordPress website, it is important to select the right theme, first, to build your successful accounting firm website with. 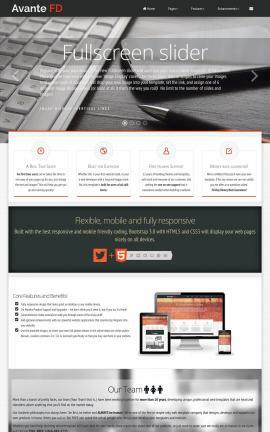 It is vitally important that your website can be viewed on mobile devices as well as the traditional desktop/laptop computers. 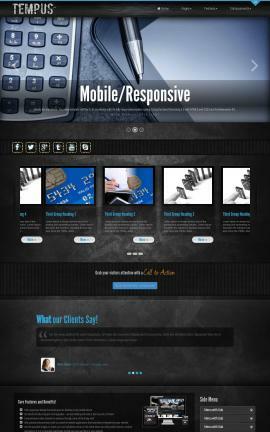 Responsive means that the web page will reshape and properly display based on the size of the website browser. You want your clients to be able to be able to contact you, with an easy to understand contact page, complete with contact form, and map. While this feature is often overlooked on first-time website operators, you should make sure that the design is set up so that it can be properly spidered by search engines, so that your web pages can be found when someone searches for you. While many WordPress themes are functional, not all convey the sophisticated and professional look and feel that your firm may be looking for. 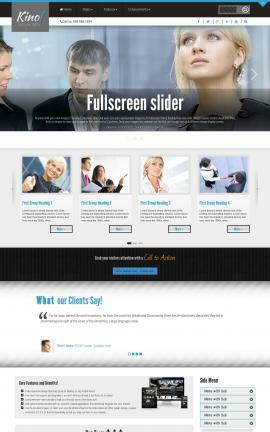 Be on the look out for such items as an image slider or testimonial slider. We have compiled a list of some of our best accounting wordpress themes here. All of these designs “pass the test” and include the features above. That’s right, we’re bringing it back! 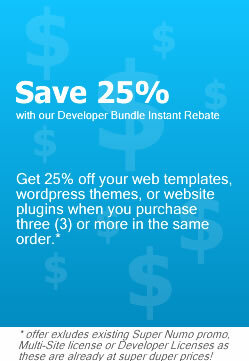 Save BIG, when you purchase three or more single site license Web Templates, WordPress Themes, or Website Plugins * in the same order with our Developer Bundle Instant Rebate.